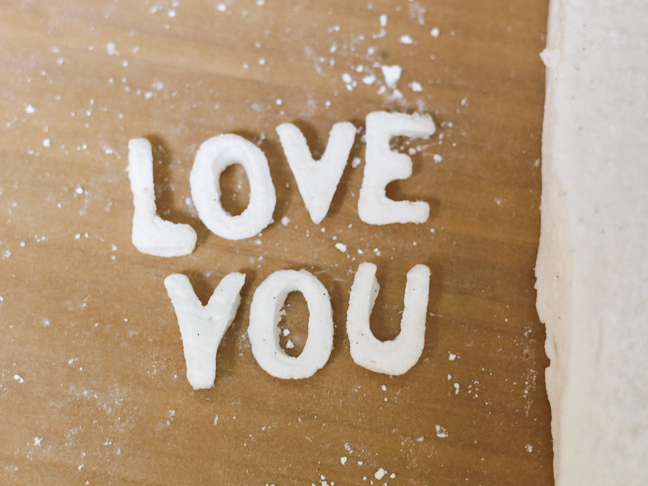 Love letters are a sweet way to show someone you care—especially when they're made out of marshmallows! 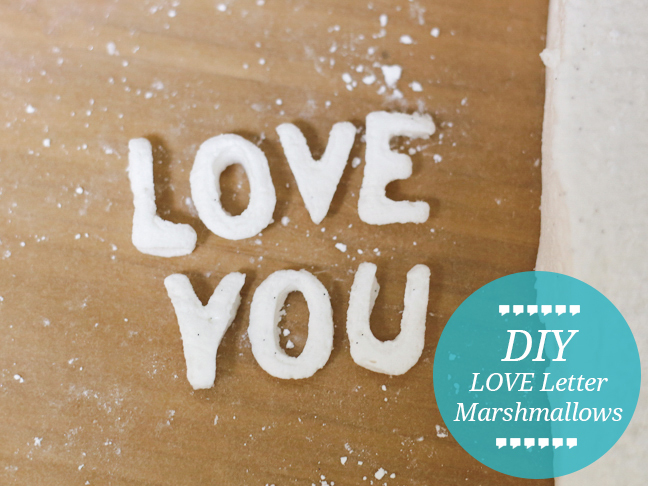 To make your own love marshmallows, start with the simple recipe below to whip up a batch of 'mallows from scratch, or cheat and use store-bought ones for a quick and easy project with the kids. 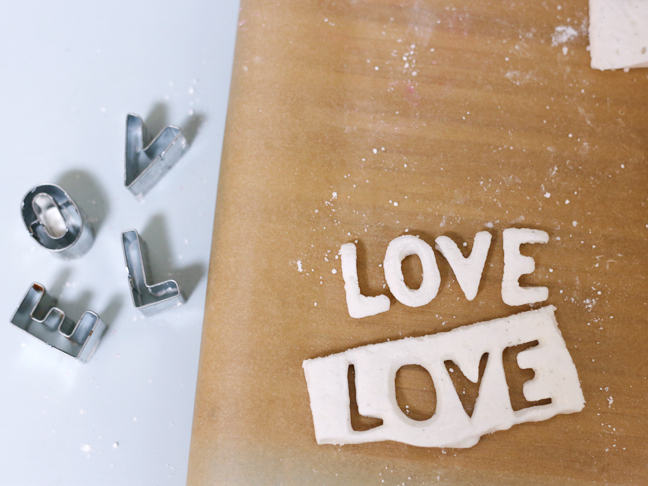 Spell out your love with these sweet, gooey treats. Step 1: Spray a 13" x 9" x 2" baking tray with non-stick cooking spray and dust the bottom and sides generously with powdered sugar (it's easiest with a sifter or small fine-mesh sieve). Don't worry about it if it's uneven or if it piles on in some places. 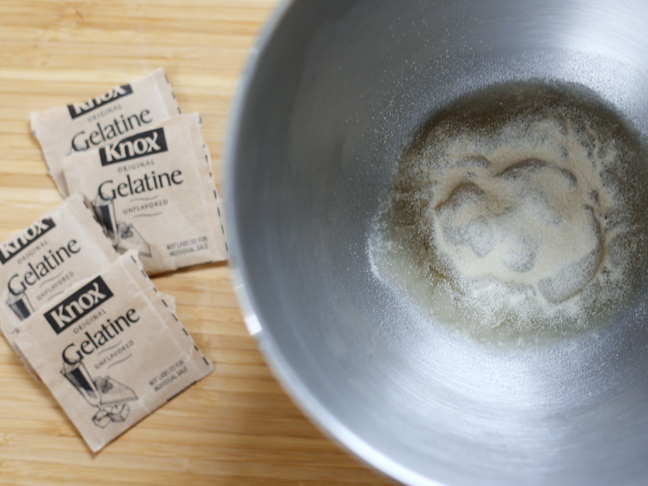 Step 2: Place 1/2 cup cold water in the bowl of a stand mixer or mixing bowl and sprinkle on the gelatin. Let stand to soften the gelatin. Step 3: Place granulated sugar, corn syrup, remaining 1/2 cup cold water, and salt in a large heavy saucepan over low heat, and stir until sugar has dissolved. Step 4: Turn the heat up to medium and bring the mixture to a boil (don't stir!) until a candy thermometer reaches 240°F. Take the pan off the heat and pour over gelatin mixture. Stir until gelatin has dissolved. Step 5: Beat mixture on high for about 10 minutes or until it turns white, thickens, and more than doubles in volume. 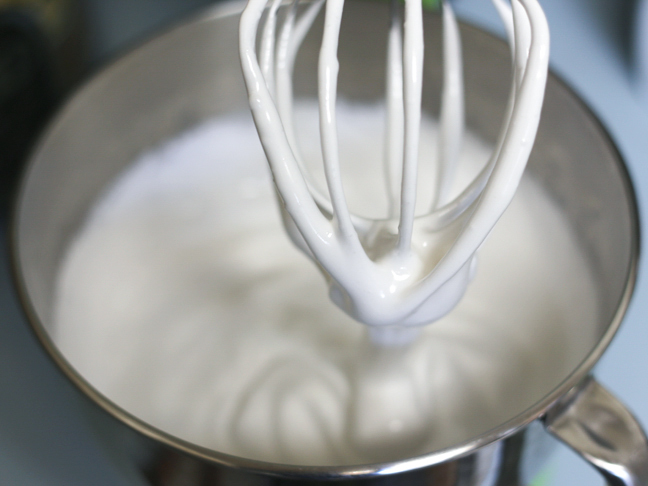 Step 6: In a separate mixing bowl, beat egg whites just until they begin to hold stiff peaks. 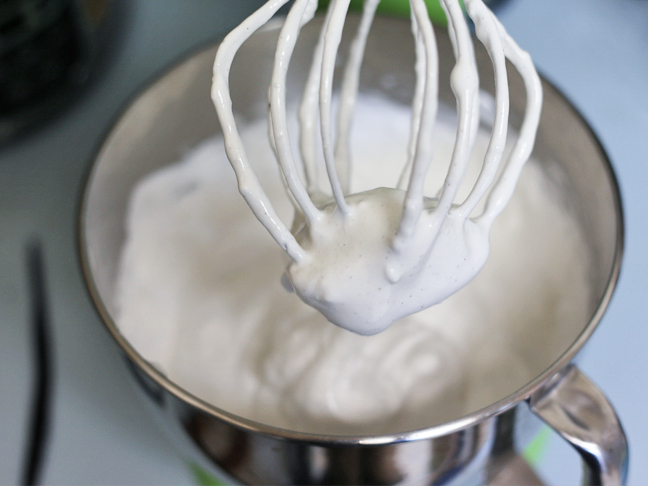 Pour egg white mixture into sugar mixture. Step 7: Split vanilla bean down the middle with a paring knife and scrape the seeds into the sugar mixture. Beat on low speed until just combined. Step 8: Pour mixture into prepared baking pan and smooth the top with a silicone spatula. Sift 1/4 cup powdered sugar over the top. Step 9: Chill marshmallow uncovered at least three hours, until firm. Step 10: Peel marshmallow out of the pan onto a sheet of parchment or wax paper. Step 11: (If using store-bought marshmallows, start here.) 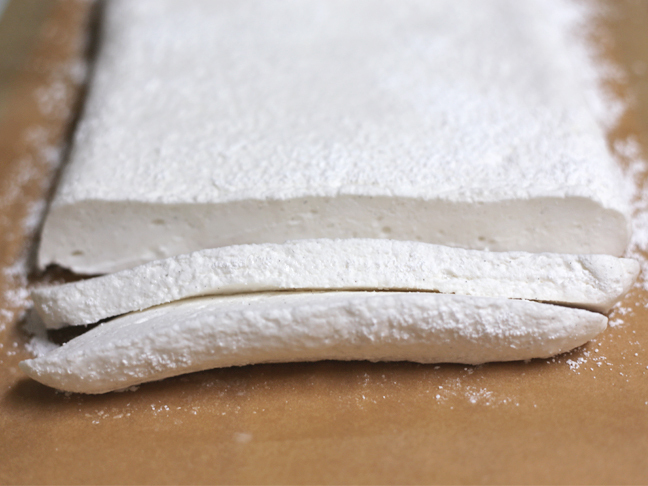 Use a large, unserrated knife to cut marshmallow into 1/4" slices. Step 12: Sift or pat some powdered sugar onto a slice of marshmallow. Dip 1" letter-shaped cookie cutters (I also used a heart-shaped cookie cutter) into powdered sugar, tap off excess, and place on top of marshmallow slice. Step 13: Press down on cookie cutters to cut the marshmallows. 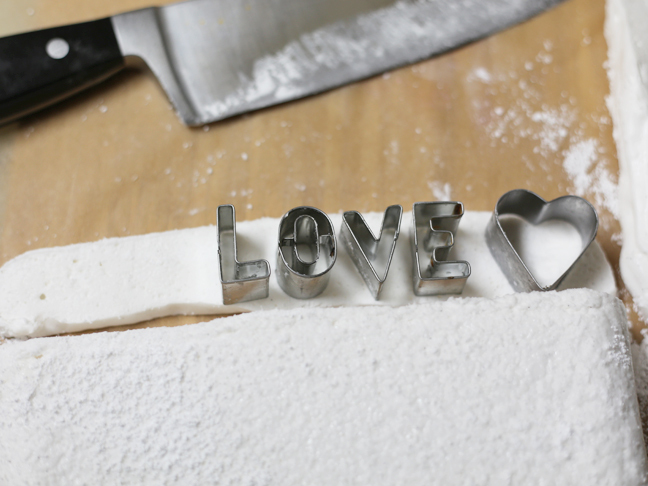 Dip fingers into powdered sugar and carefully remove marshmallow from cookie cutters. I found it worked best to loosen one side and peel the rest out of the cutter. If necessary, you can use a toothpick to gently push out any particularly sticky pieces. 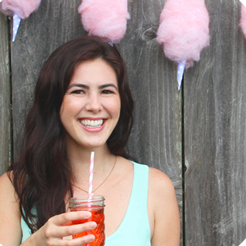 Serving suggestions: Marshmallows can be eaten alone or used to decorate a cake.